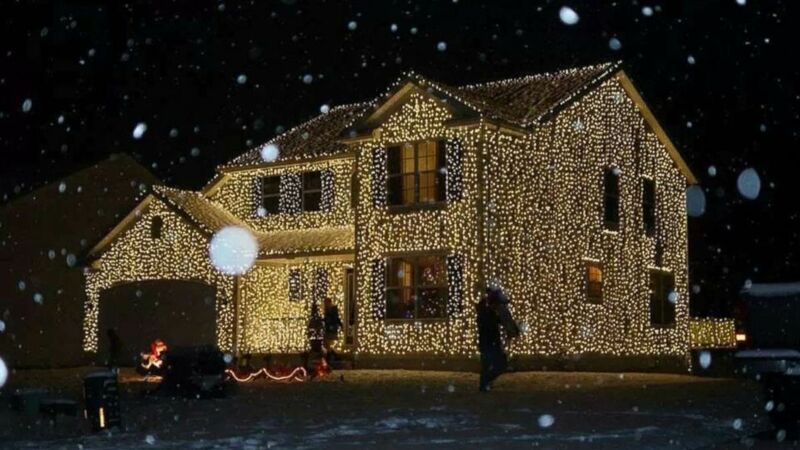 For six years, Greg Osterland has been decorating his home in 25,000 lights. If you're looking for a "fun, old-fashioned family Christmas," head over to the Osterland's in Wadsworth, Ohio. For six seasons now, Greg Osterland, 37, has been decorating his home in 25,000 lights. The bright, festive look was inspired by the Osterlands' favorite holiday film, "National Lampoon's Christmas Vacation." "It got to the point where we knew it too well," Osterland told "Good Morning America." 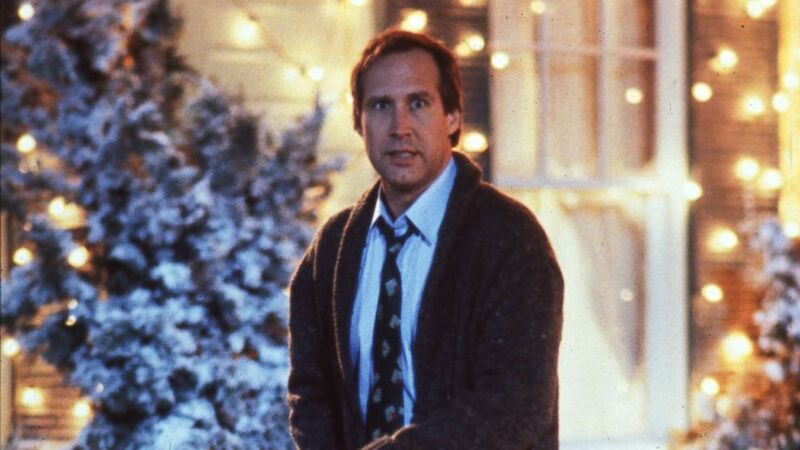 Osterland said his love for all-things Griswold began after the 1989 release of the flick, and continued throughout his marriage to his wife Rachel. The couple even went house-hunting with the requirement that whatever they bought must suit Griswold-inspired decor. 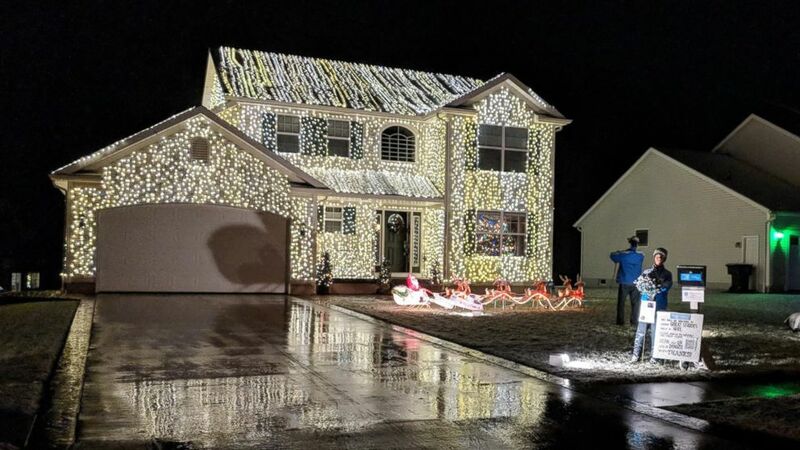 (Courtesy Greg Osterland) Greg Osterland of Wadsworth, Ohio, says he uses 25,000 lights to decorate his house each year, just like the film, "National Lampoon's Christmas Vacation." Osterland said that his family also enjoys dressing up as the Griswolds. 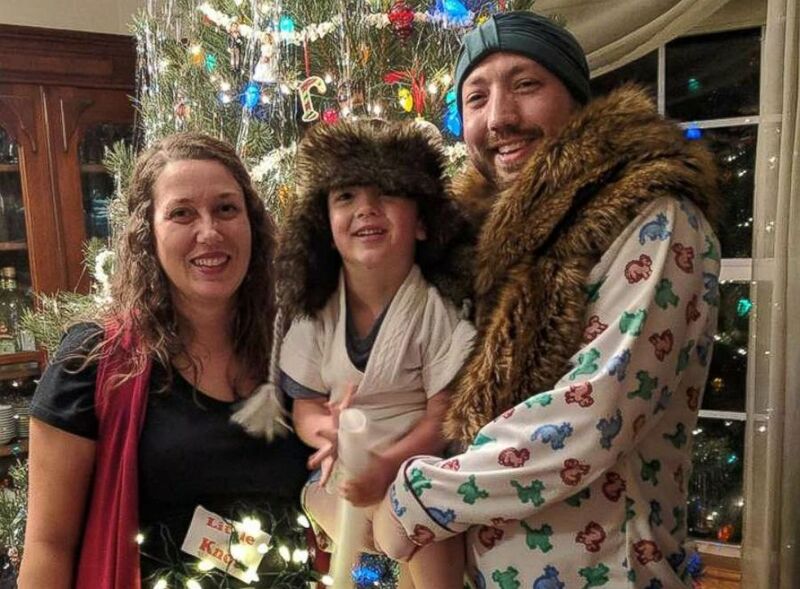 This year, his 3-year-old son Lucas had a blast channeling Cousin Eddie and in March, a new baby girl will join the party. "We'll have one boy, one girl -- just like the Griswolds...let's just say [the name] Audrey was put on the table and vetoed," Osterland joked. (Courtesy Greg Osterland) Greg Osterland of Wadsworth, Ohio, uses 25,000 lights to decorate his house each year, just like the film, "National Lampoon's Christmas Vacation." The interior of Osterland's home is decorated in handmade props that mimic scenes from "Christmas Vacation" including Aunt Bethany's Jello mold, an oversized tree, a faux squirrel and more. "And then to finish, we'll snuggle." "I don't know what to say, except it's Christmas and we're all in misery." 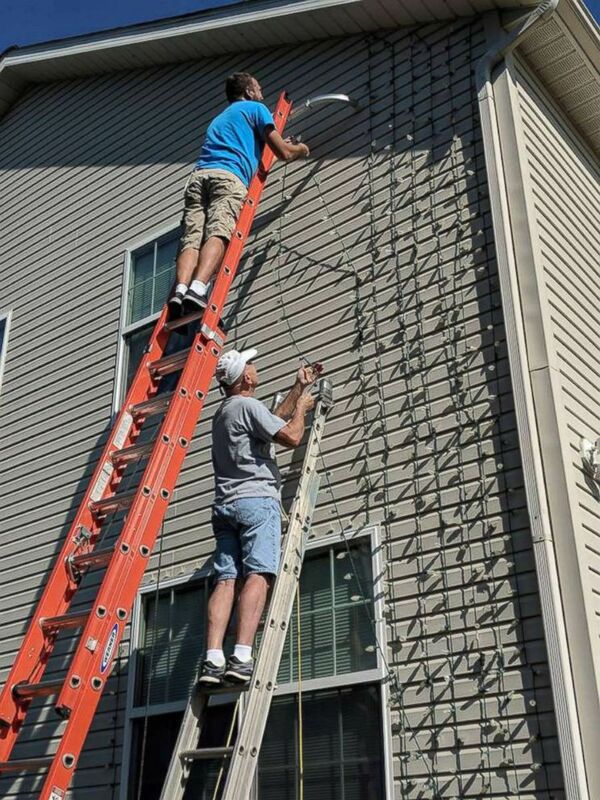 Stringing the lights onto all 360 degrees of the house takes weeks. The Osterlands start in October with family, friends and neighbors all lending a hand. (Courtesy Greg Osterland) Greg Osterland of Wadsworth, Ohio, is pictured with his wife Rachel and 3-year-old son Lucas in an undated handout photo. 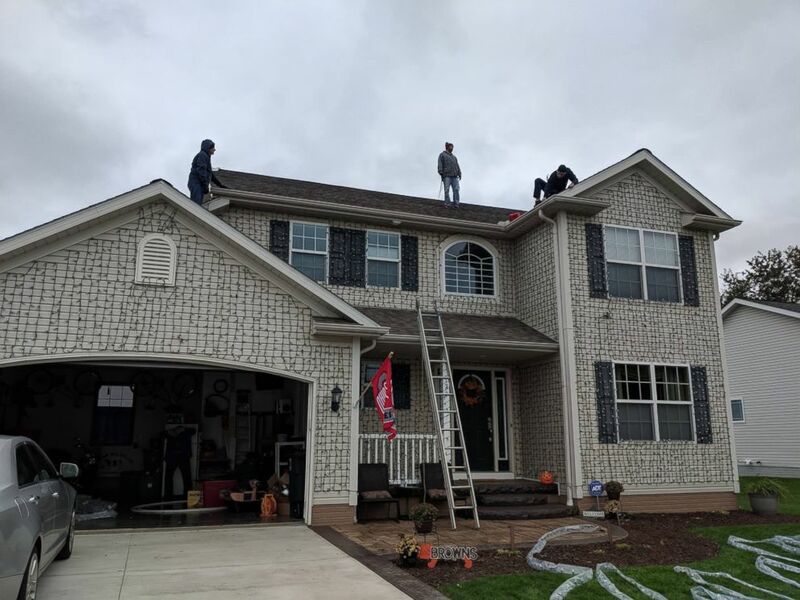 "We love seeing the faces of the people that come see it and we raise a lot of money for a great cause," Osterland said. When he was 6 years old, Osterland he was diagnosed with Cystic Fibrosis -- a genetic disorder that causes severe damage to the lungs, digestive system and other organs. (Courtesy Greg Osterland) Greg Osterland of Wadsworth, Ohio, decorates his home to raise money the Cystic Fibrosis Foundation. Determined to help find a cure, Osterland accepts optional donations from visitors to his home on behalf of the Cystic Fibrosis Foundation’s Great Strides Walk, which is due to be held in Akron, Ohio, in May.